I really did like the blurb of this book. I also really liked the cover. It’s very appealing and I think it does a good job of showing what the book’s about. I did think that the book seemed really rushed. There was a lot of condensing down of events and an awful lot of skipping over the passage of time in the space of a paragraph. I liked Anthony as a character, but I didn’t think enough space was given for him to grow as a character. There were very little surprises for me as a reader, since any mystery was stated in the narration. There were some interesting aspects to the story, such as the whole thing about Adrian giving Anthony his heart. I did find a lot of the events to be quite confusing. I’m not sure I really understood everything that was going on. The main event was obvious… but some of the things, like the flowers, weren’t really explained as well as they could have been. I was a bit confused about what was going on in the town. There were times I thought that the whole town was corrupted, but by the end, it seemed like it wasn’t. Although the main characters were fairly well-defined, there were other characters who weren’t shown nearly as much as they could have been. There were relationships between certain characters that were talked about… but not really described. If this book had been longer, I think it would have been much easier to read and definitely worthy of more than three stars. 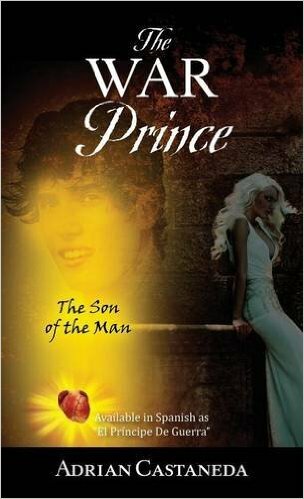 There were some elements I really liked in this book, such as the former relationship between Adrian and the Devil. Later on, there are some nice scenes involving Pops… but I was disappointed that the interactions between him and Anthony were only summarised at the beginning. I was also confused about the time frame of this book… and there was too much telling rather than showing. I’d read a sequel to this book if it was expanded upon. The danger the characters were in didn’t really seem that strong… and I think the main problem was with not being as emotionally connected to the characters as I could have been. That’s a shame that things are so rushed, the book sounds like it had so much potential if it was expanded a bit more.